Julie Thomson (pictured on the left) and her husband David are ex- British residence now leaving and owning a B&B in Pozieres, France. 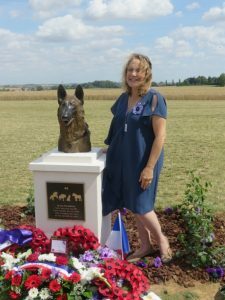 Julie speaks fluent French and assists AWAMO greatly at the AWAMO war animal memorial at Pozieres. 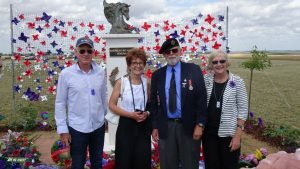 Davis is a well known Battlefield Tour Guide. Internationally renowned artist Susan Bahary (pictured above) who sculptured the WWI War animal memorial at Pozieres and sculptor to several other Australian and International animal memorials is our USA representative and AWAMO Ambassador. Linda Scott (pictured above, middle) is an ex- ADF Administration staff member of many years, with the support of her husband Peter an ex- RAAF Military Working Dog handler of is AWAMOs WA Regional coordinator. Linda is an AWAMO Ambassador and is responsible for all AWAMO activities in WA. 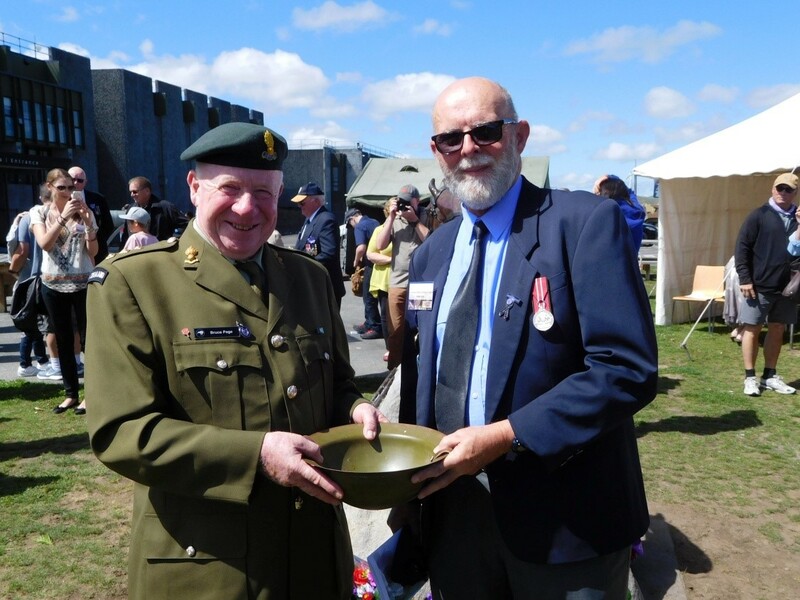 A long serving member of the ADF Special Forces, Horst is the project manager of AWAMOs Veteran War dog fund. The project financially helps and supports veteran MWDs. Unfortunately many of the significant health costs come at the end of a dog’s life. This can be a significant impost on those that have given our MWDs their retirement home. 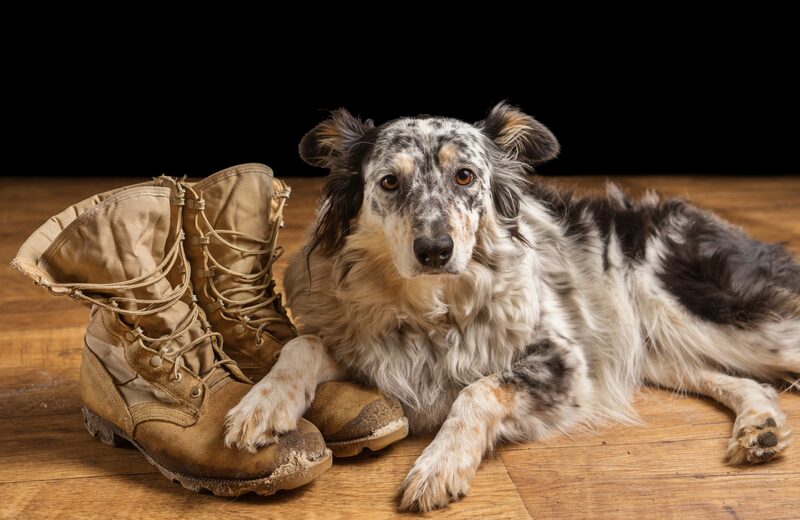 Our four legged soldiers have given much. 11 have given the ultimate sacrifice, killed in Afghanistan protecting our troops. We owe them much, at least to make their last few years of life comfortable and given medical treatment when needed. The funds have been used ranging from purchasing medication, payment of veterinary bills and the supply of dog items that aid comfort- such as bed coat and toys. 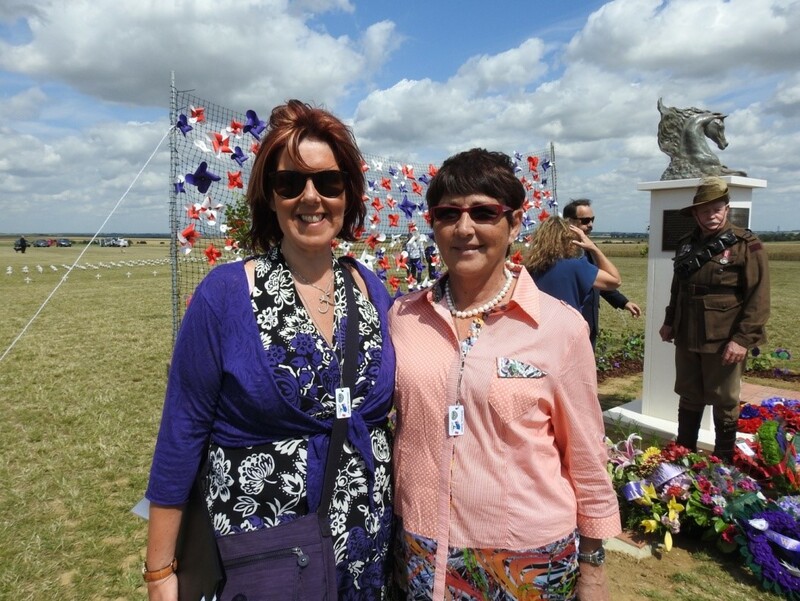 Finally we have funded the costs of cremation and honouring them with a burial head stone. We have an agreement with Master Pets who are currently providing a range of their special Black Hawk dietary foods. Graham Carter (pictured above, second from the right) is the Honorary Curator of the Qld RSPCA and an AWAMO Ambassador. 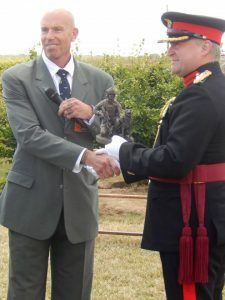 Graham served in the ADF and is a well known and respected animal welfare advocate. 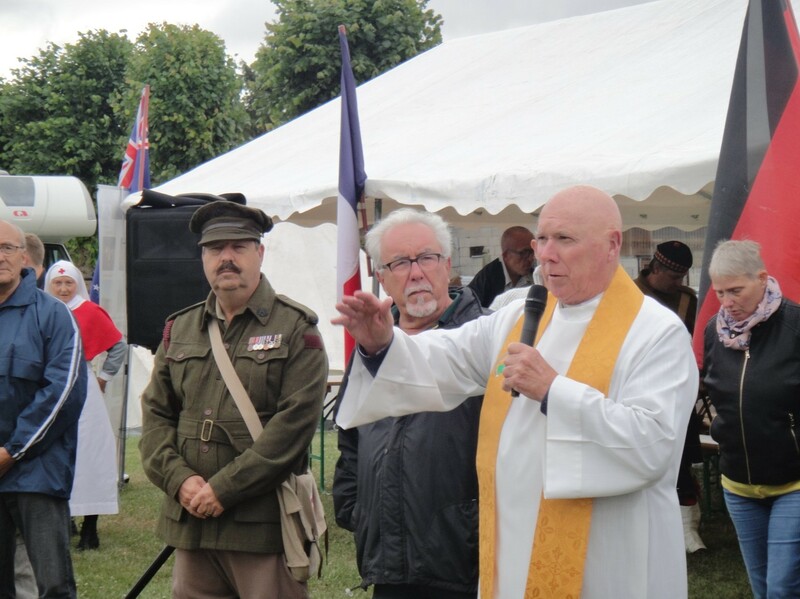 Graham is also AWAMOs Secretary for the Blue Cross Awards in Australia and New Zealand. Kendall (pictured above right) has a long-time association with AWAMO. He holds a position in the ADF as a Veterinary Officer as well as owner of a private practice. 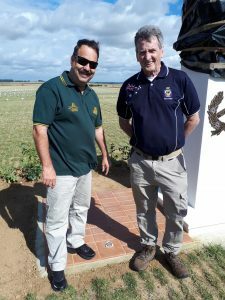 Kendall is also the Patron of the Australian Army Veterinary Mounted Troop (AAVC) which has close associations with AWAMO. 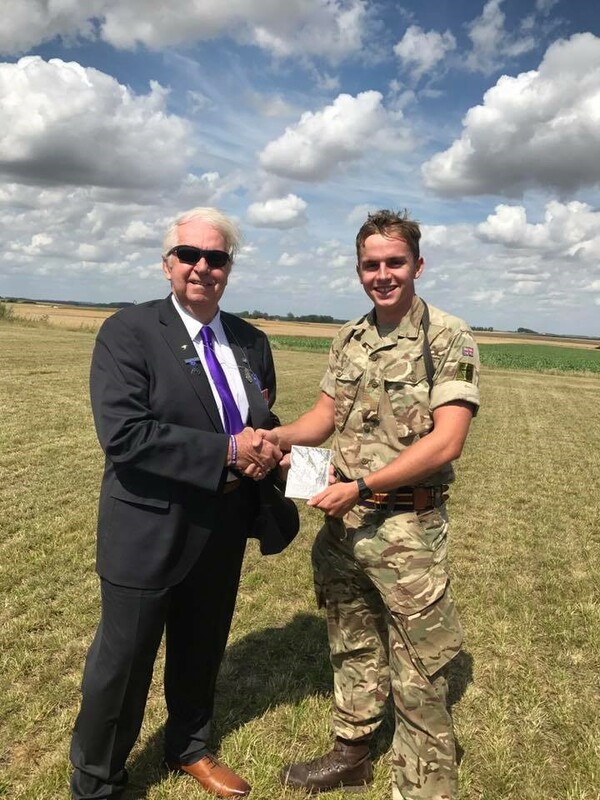 Kendall started his military career as a Commando and has been deployed to Afghanistan and other overseas positions. Ian is an AWAMO Secretary and administrates the running of the AWAMO Webpage. Ian is a vital member of AWAMOs Executive team. He has served in the ADF and a well respected community member. Ray (pictured above left) is an AWAMO Ambassador and President of Australias largest Military dog association. 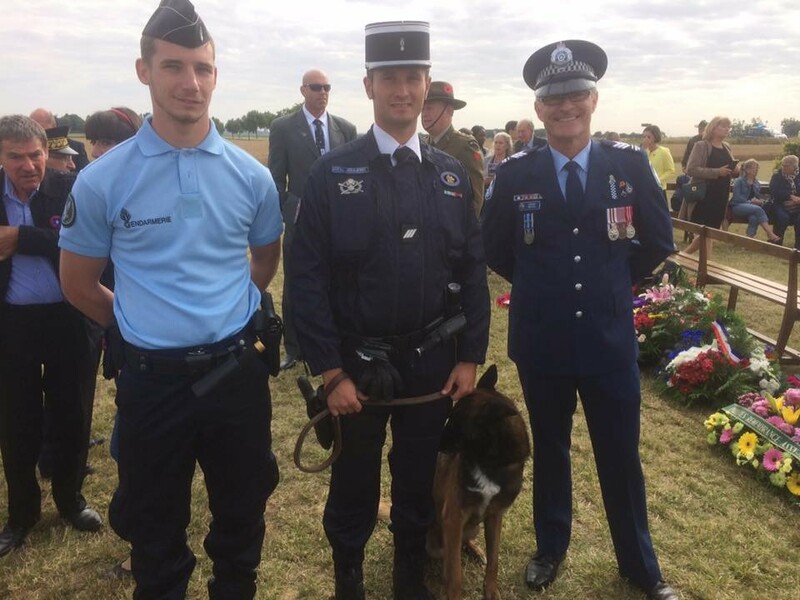 Ray served as a dog handler and Instructor in the RAAF for over three decades. He is highly regarded as an expert in war dog matters; AWAMO consults Ray on this subject. Denise is the Priest in Charge, the Anglican Parish of Cleveland. 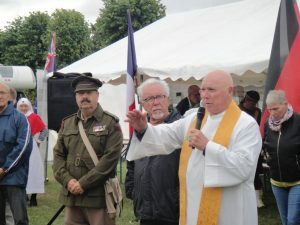 Archdeacon of Moreton, Brisbane has a wide range of experience at both diocesan and parish level in New Zealand. 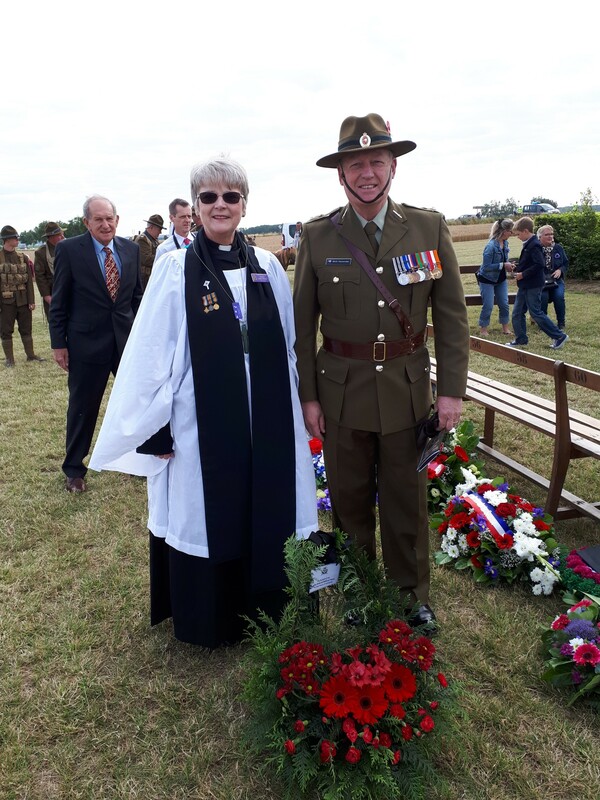 Denise officiated at the Pozieres war animal memorial opening- blessing the New Zealand and all Nations memorials. Monsignor John Butler has retired from the ADF and was the principal Chaplin at Pozieres where official blessed the ground and Australian war animal memorial. Bruce (pictured above left) is both AWAMOs NZ Representative and a serving member in the NZDF but also the President of the NZ Blue Cross committee that works alongside Blue Cross Australia (Run by AWAMO) that selects medal recipients in NZ. Growing up next door to his Grandfather Jack Bickley who served in WW1 in Palestine for 4 years, he gained an interest in matters military and learned to ride and shoot. John joined the New Zealand Army at 16 via a cadet group and served with 1 & 2/1 Battalions of the Royal New Zealand Infantry Regiment. 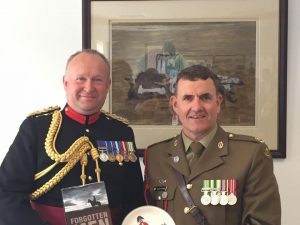 Today John honours all troops and animals from all wars by riding in remembrance. John displays his Grandfathers Hat Badge and Medals proudly. John lives in Queensland. Sgt Greg Hill (pictured far right) has served in the Queensland Police Service as a Firearms and Explosive Detection dog supervisor for many years. 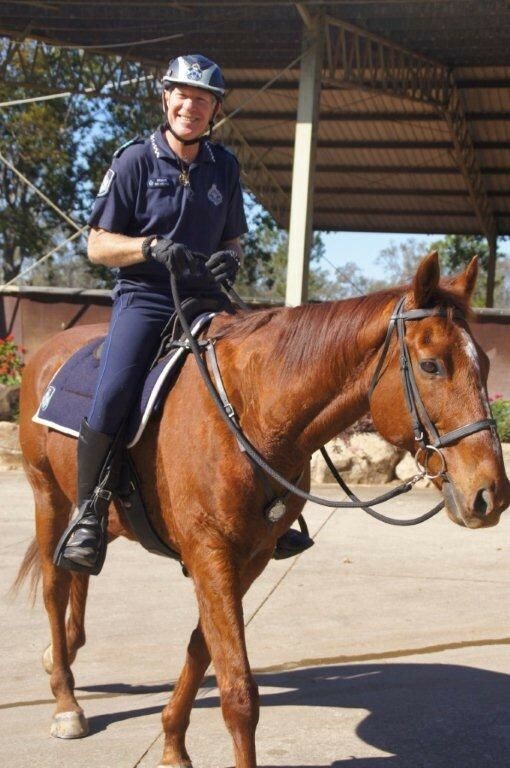 Sgt Roy Mientjes (pictured above) has spent several decades as a SNCO in the Queensland Mounted Police. Roy is a member of the California Mounted Officers Association having conducted advanced training in the USA. 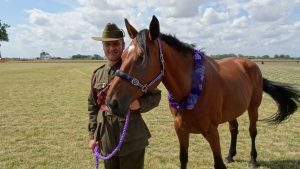 A highly respected Horseman, he is also the Secretary of the Australian Army Veterinary Mounted Troop- a ceremonial mounted association. 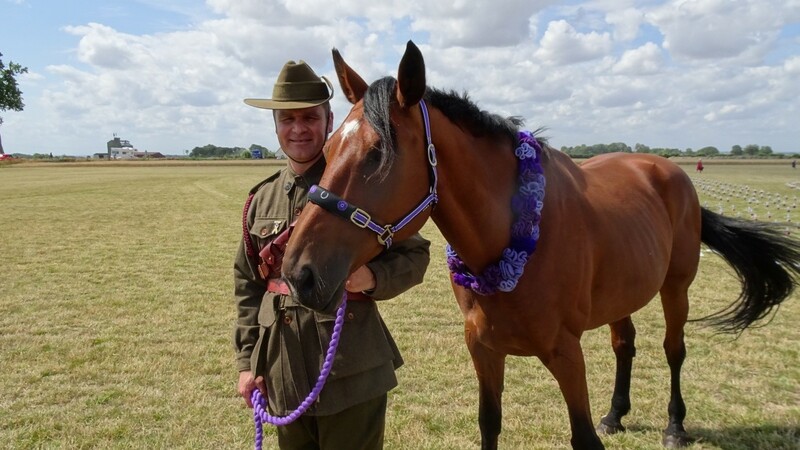 Roy doubles as AWAMOs Australian Light Horse representative. 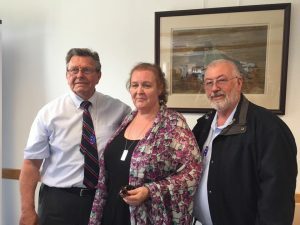 Peter (pictured above) is a full-time employee of the Toowoomba City Council. 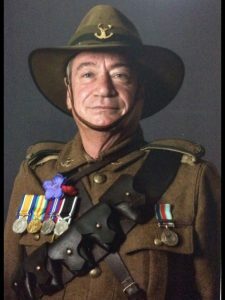 Peter has previously served in the Australian Defence Forces. Peter is well known in the local area for his volunteer work with Social Services including his work with the Veterans Group aiding troubled youth..
AWAMO is extremely fortunate to have our own poet Santina Lizzio. Santina is a multiple published author and poet and her war animal poems have be established on monuments world-wide.